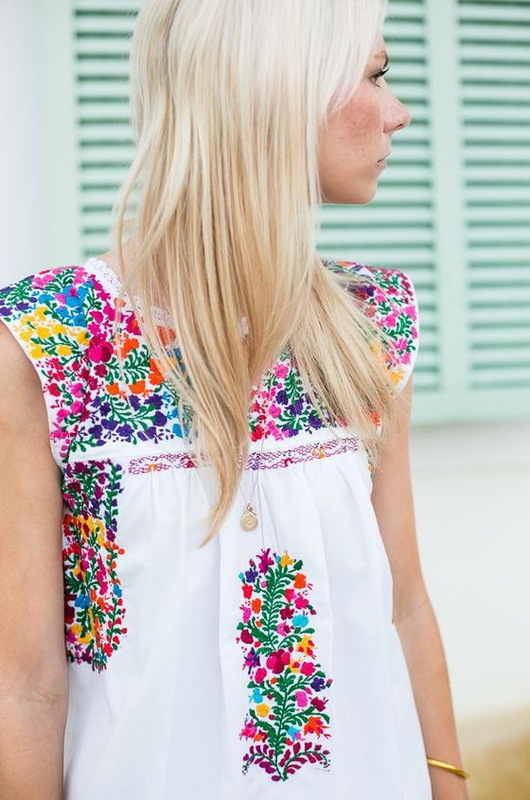 You can button your blouse all the way to the top or leave 2 or 3 buttons unbuttoned. In today’s blog post I am going to share with you an awesome street style outfit ideas completed with blouses. If you think this top is just an ordinary basic piece that can be covered by your favorite outerwear, then you are totally wrong, dear. Blouse can make a perfect impression on its own. All you need is to choose and style it wisely. Trust me, you can wear it from the office to the club. This might be one of the most fabulous tops for ladies. If you want to look trendy and classy, then you better give this top a try! Scroll down to see my favorite outfit ideas completed with beautiful blouses. Enjoy! 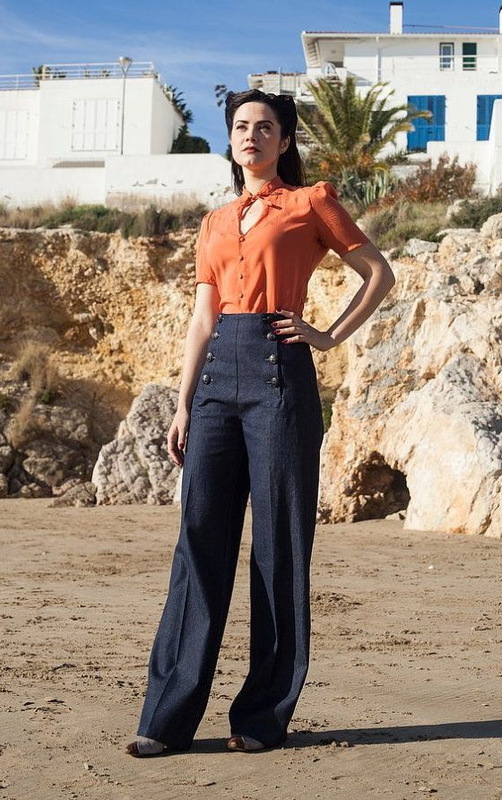 We see a retro inspired look that consists of a light orange short-sleeve blouse tucked in high-waisted front buttoned wide-leg dark blue tailored trousers.